Chances are you know all about baby-led weaning by now. From talks with fellow moms to science-backed articles, you know what it takes to urge your baby to reach for a bite-sized carrot cube instead of waiting for the weaning spoon. But, one thing that still bugs you is coming up with yummy recipes that your little one can't get enough of. 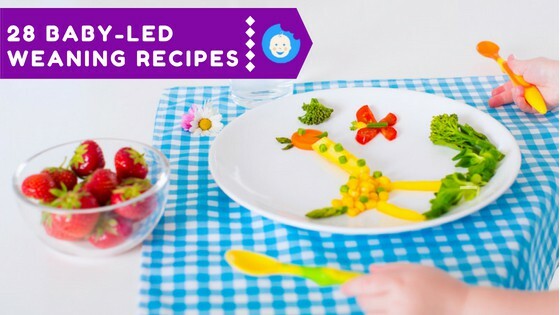 If that's the case, these 28 baby-led weaning recipes will not just swoon your munchkin's taste buds but will also help you ace her nutrition game. We hate to be the ones to tell you this, but heading into the kitchen and whipping up a meal for your baby is NOT your only concern when it comes to baby-led weaning. Prepping the ingredients properly and keeping up with your infant's changing nutritional needs also play a huge role in successful baby-led weaning. Equipping your kitchen with the right tools can also go a long way. So, if you want to take the steps the right way, here's what you need to do. Following a recipe to the tee is one thing. But, whipping up a baby-friendly meal is a whole 'nother story, especially when you're making something that your baby will shove down her throat. With that in mind, always make sure to boil or steam the ingredients until they are fork-tender. One way to check whether they are soft enough is to push them against the roof of your mouth. If they smash, they are good to go. Another thing to keep in mind during prepping is to slice the ingredients (veggies, fruits, meat, etc.) 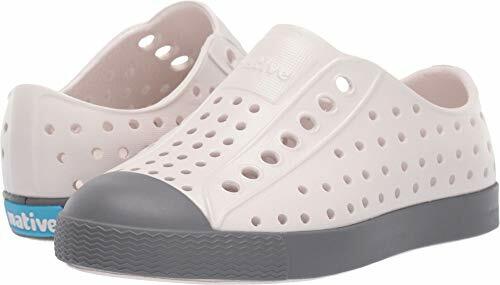 into bite-sized pieces to prevent your little one from choking. Lastly, always provide your baby with foods that are at least as long as her fist. So, cut them accordingly before they reach her high chair. While the first six months of a baby's life are all about breast milk, things change a bit when that infant hits the 6-month mark(1). Now, it's finally time for her to turn to solids in order to get a variety of other nutrients (see: minerals) which are crucial for her cognitive and physical development. That's where baby-led weaning steps in. This popular self-feeding method introduces your little one to all the foods that matter at the right age. 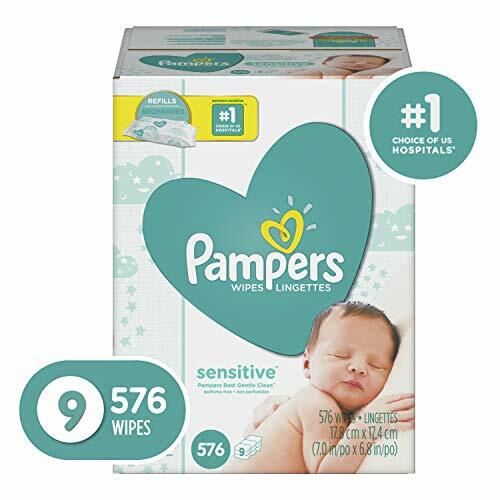 Don't know which foods are appropriate for a baby of 6, 7 or 8 months old? The following round-up will help you navigate this common conundrum by providing you with age-appropriate recipes. From helping with food prep to minimizing the mess, having an array of baby-led weaning tools at your disposal can also help your munchkin transition to solids smoothly. 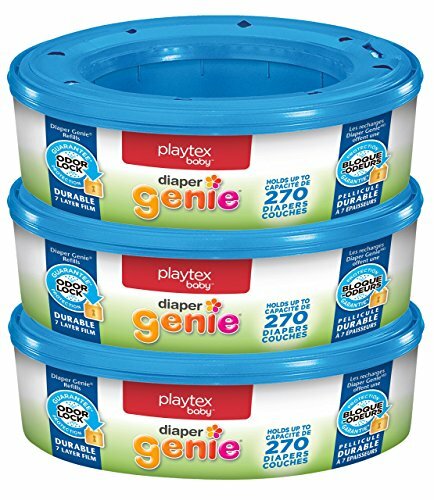 The three most essential tools to use during this stage include a reliable baby food processor for prepping meals efficiently, silicone plates to keep your baby from injuring as she feeds herself (opt out for a BPA-free model, no matter what) and water-proof bibs to prevent her from making a huge mess. Reaching 6 months of age is a huge milestone for any baby (and her momma). At this point, your little one is physically capable of standing upright, slightly chewing and swallowing. So, introducing her to solids seems like the right choice. Some of the first foods you can scatter across her high chair include apples, avocados, bananas, peaches, pears, carrots, potatoes, sweet potatoes, squash, zucchini, green peas, baby cereal, rice, barley, and oats. This easy-to-make recipe takes less than 10 minutes to whip up and contains all the healthy fats (thanks, avocado!) that your baby's brain needs to develop. Add the apple in a colander and steam by placing it on top of a pan with simmering water. That will take about 20 minutes. 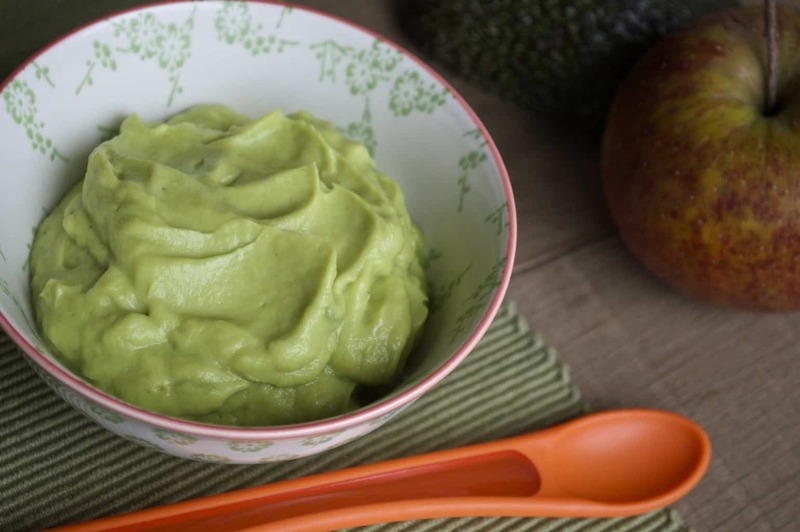 Then, transfer the apple and avocado in a baby food processor and blend until smooth. You may need to add some water, depending on the consistency of your preference. 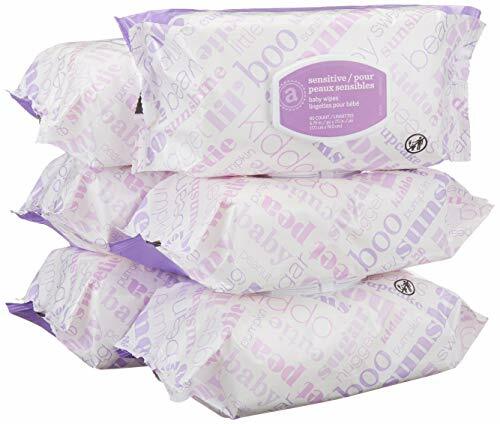 Packed with vitamin A and C, this nutritious snack will help boost your baby's immune system as she slowly swaps breast milk for everyday foods. PS: To keep the recipe on the healthier side, skip the brown sugar and let cinnamon do all the “sweet” work instead. In a bowl, add the sweet potato, water, and oil and mix well. Then, stir in the cinnamon and brown sugar (optional). Add the baby cereal, applesauce, and flour and mix well until you form a dough. Using your hands, shape small balls with the dough and place them on a cookie sheet. Bake for about 15 minutes. Make sure the bites are rather chewy instead of crunchy. 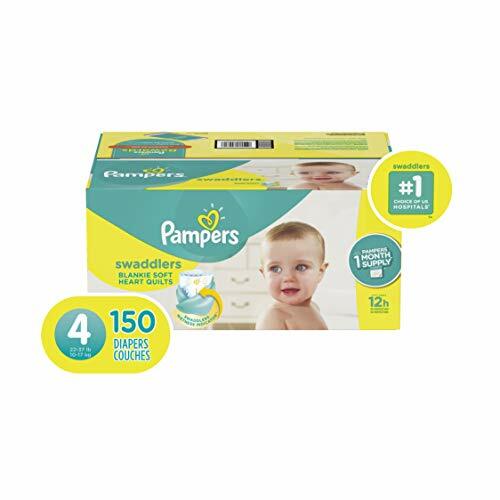 Associated with a healthy gut, fiber(2) is one of those nutrients that your baby so desperately needs, but often doesn't get enough of. 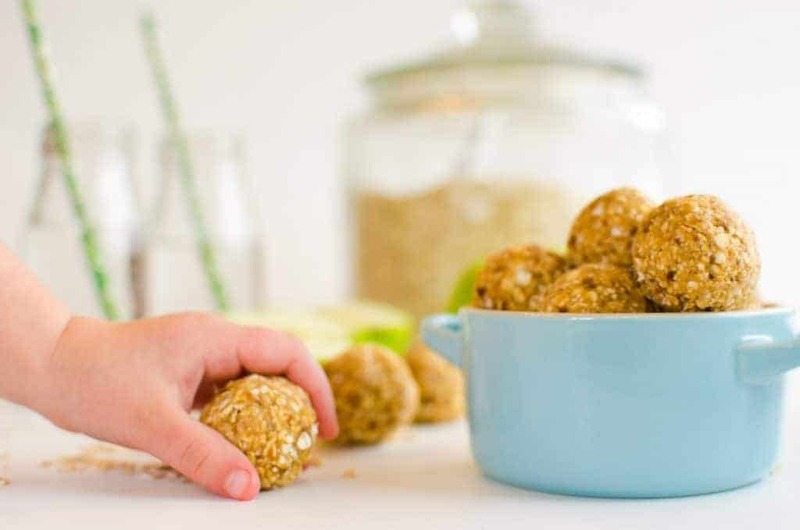 To prevent that, add these delicious apple-oat bites to the menu and let the health benefit roll in. Add the apple puree, peanut butter, and raisins to a baby food processor and blend until smooth. Then, add the oats and pulse until they are evenly combined. Using a spoon, form small balls with the mixture and place it on a freezer-safe tray. Refrigerate for half an hour and serve. 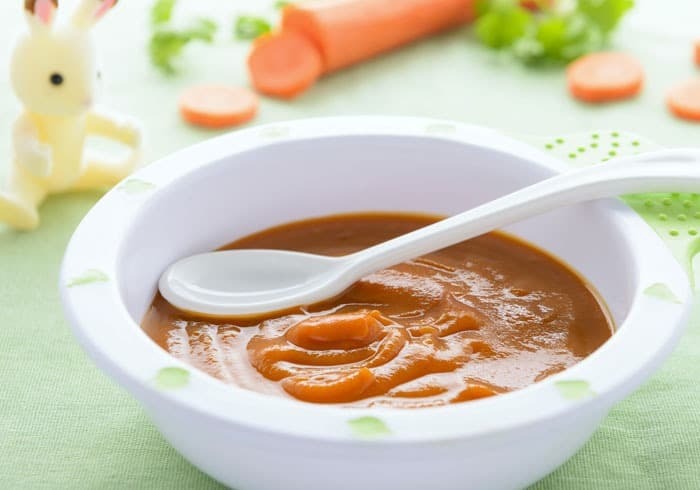 From vitamin A to potassium, carrots and sweet potatoes contain just the right ingredients to up your baby's nutrition ante. Plus, this oven-baked version tastes so good that your little one will ask for seconds which means more nutrients. Friendly tip: Skip the paprika from the original recipe 'cause your baby's 6-month-old stomach is not up to par yet. 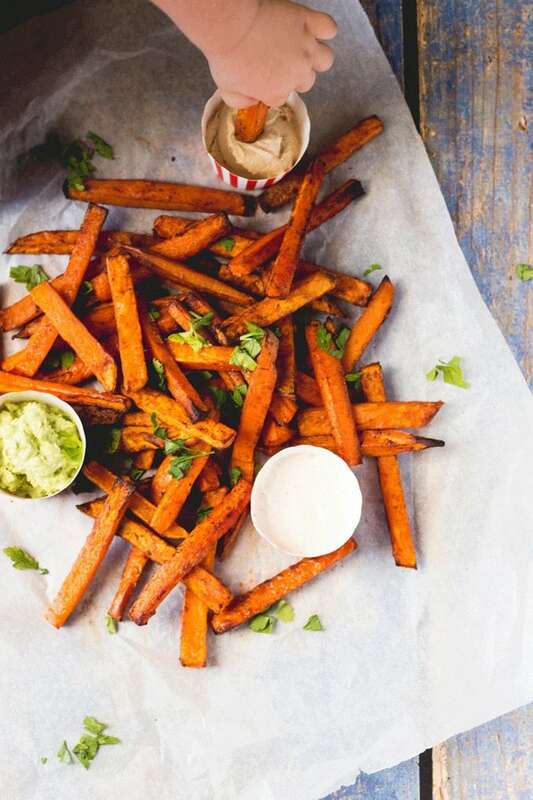 In a bowl, add the sweet potato and carrot fries and toss them with the olive oil until they're coated. Place them on a baking tray and bake for 35-40 minutes until they're fork-tender. Make sure to turn them halfway through. Now that your baby is familiar with a lot of new flavors, her once-vulnerable stomach has evolved quite a bit. So, at 7 months old, it's finally ready to get acquainted with new foods which can increase her development even more. These new foods include various types of meat (beef, pork, chicken, turkey, etc. ), nut butter, tofu, eggs and unsweetened dairy. Tasting a lot like a banana milkshake, this puree is going to be your baby's new favorite meal. The best part? 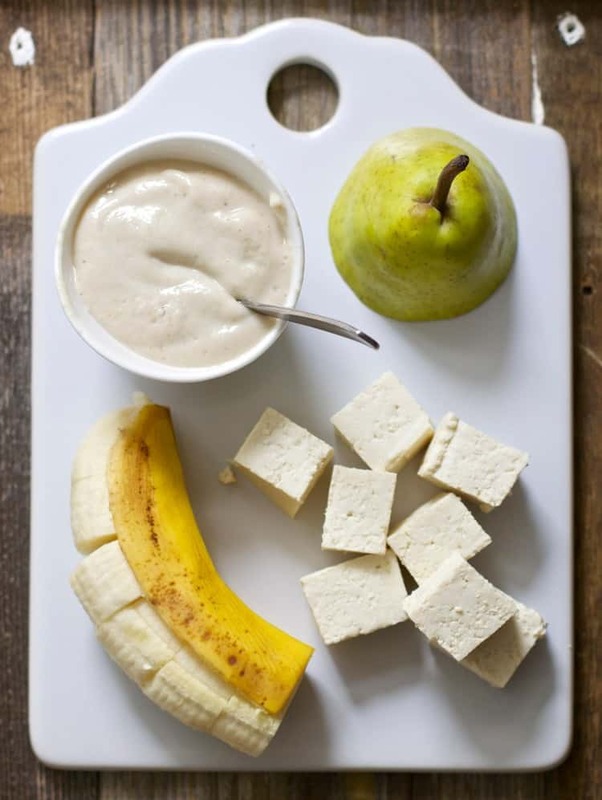 It's rich in protein, calcium and manganese thanks to the tofu, keeping your baby overall healthy. Squeeze the tofu and remove any excess liquid. Add the banana, tofu, and pear into a baby food processor and puree until smooth. You may need to add some water to thin the mixture's consistency depending on your liking. Loaded with protein, vitamins and healthy fats, the egg is a baby-friendly superfood. If you want to help your munchkin's brain develop, even more, this recipe is an absolute must-try. In a bowl, add the eggs and milk and beat until they are evenly combined. Dunk the bread into the mixture and make sure it's coated. Meanwhile, melt the butter in a pan and fry the bread until it turns golden on both sides. Set it aside to cool and cut into bite-sized pieces. It's no secret that beef is a rich source of protein, vitamin B12, and zinc. All these nutrients play a huge role in the muscle and DNA development of a baby, helping your little one grow stronger by the day. Add all the ingredients in a saucepan and let them simmer over medium heat until they turn soft. Once cooked through, transfer them to a food processor and blend until smooth. If needed, add more water to thin the consistency. From protein to selenium to phosphorous, pork has it all. So, the popular meat is not just a tasty addition to your baby's menu; it will also help up her nutrient intake in a jiffy. In a pan, saute the mince to remove any excess fat. In a separate saucepan, add the remaining ingredients and simmer until they are fork-tender. Drain the juices from the apple/courgette mixture and add the meat. Mash to the desired consistency and serve. The stakes are pretty high by now. Your baby doesn't just stand upright on her own, but her eyesight is as good as an adult's. That means that presenting her with an eye-catching, colorful dish is as important as making it uber delicious. Also, note that your little one can now eat a variety of new nutrient-dense foods which include quinoa, legumes, broccoli, spinach, spices, raisins, cauliflower, berries and chia seeds. There's a reason we are told to eat our broccoli, and that's vitamin C.
Containing massive amounts of the antioxidant vitamin, this green vegetable is the best way to boost your baby's immune system. Plus, the cheddar will make the veggie irresistible. It's a win-win situation. 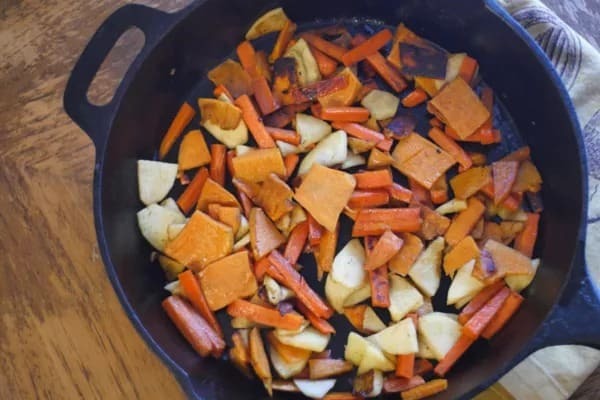 Add the sweet potato in a colander and place it on top of a pan with boiling water. Let it steam until it's fork-tender. Remove and set aside. Now, add the broccoli to the colander and steam until it's fork-tender as well. Transfer the sweet potato, broccoli, cheddar and black pepper to a bowl and mash until they are evenly combined. 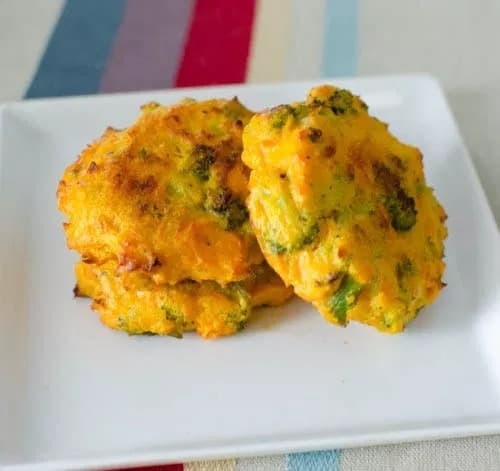 Beat the egg and add it to the broccoli mixture and form small patties with your hands. Place them on top of a greased baking tray and bake for about 30-40 minutes or until they turn golden on both sides. From boosting her energy to improving muscle development to enhancing her brain function, peanut butter is one of those foods that can help your baby take things up a notch. The chia seeds in this recipe also load her body with much-needed fiber (buh-bye constipation!). Add the dates and coconut into a baby food processor and blend until they are finely chopped. Add the remaining ingredients and pulse once again until they form a fine crumb. Transfer to a bowl and form bite-sized balls with your hands. Refrigerate for some hours and serve. Containing lots of fiber, vitamin C, and K, blueberries are a must-eat superfood for any 8-month-old baby. This juicy fruit will up your baby's antioxidant(3) intake, helping her fight against viruses, germs, and other harmful bacteria. Meanwhile, add all the ingredients to a baby food processor and blend until they are evenly combined. Spoon the mixture to a greased baking tray and bake for 10-12 minutes. Let it cool and slice it into bite-sized pieces. It turns out that Popeye was right all this time. By eating enough of the green leafy vegetable, he provided his body with enough vitamin K which is vital to a healthy bone development. 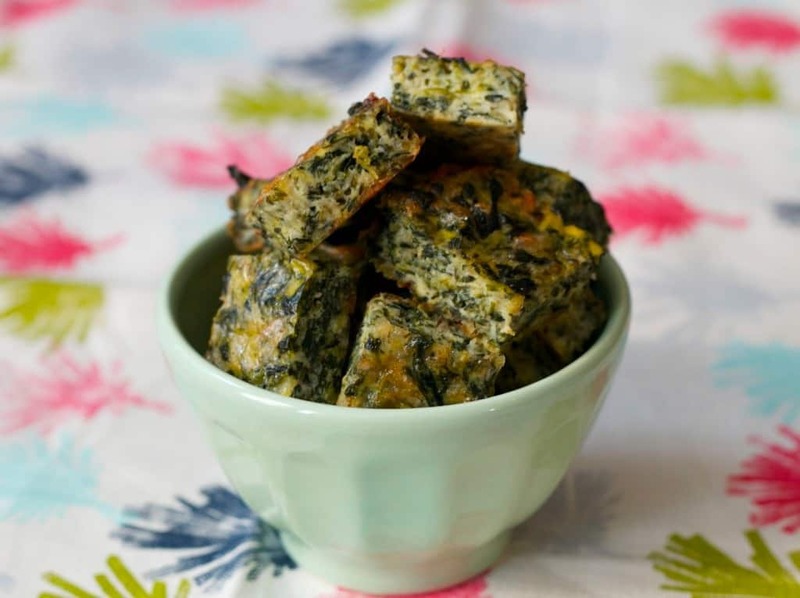 We think that your baby deserves the same treatment, and these spinach bites are a great place to start. Using a towel, squeeze the spinach and remove all excess water. Pour the mixture onto a greased baking tray and bake for about 30 minutes. Remove from the oven, set aside to cool, and cut into bite-sized pieces. At this point, your baby's first teeth are finally popping out. 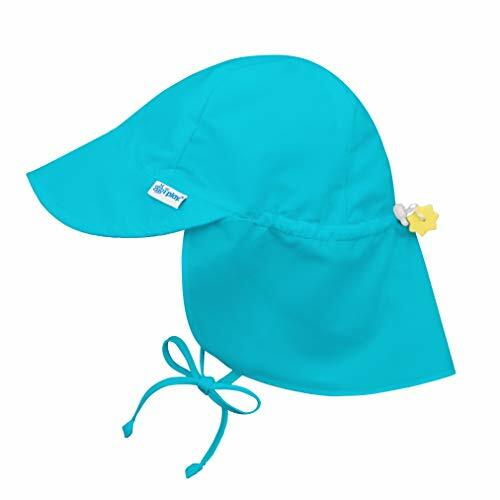 Your little one is now capable of chewing a bit harder and handling bigger bites of anything. Grown-up foods such as pasta are entering the scene, making her menu all the tastier. 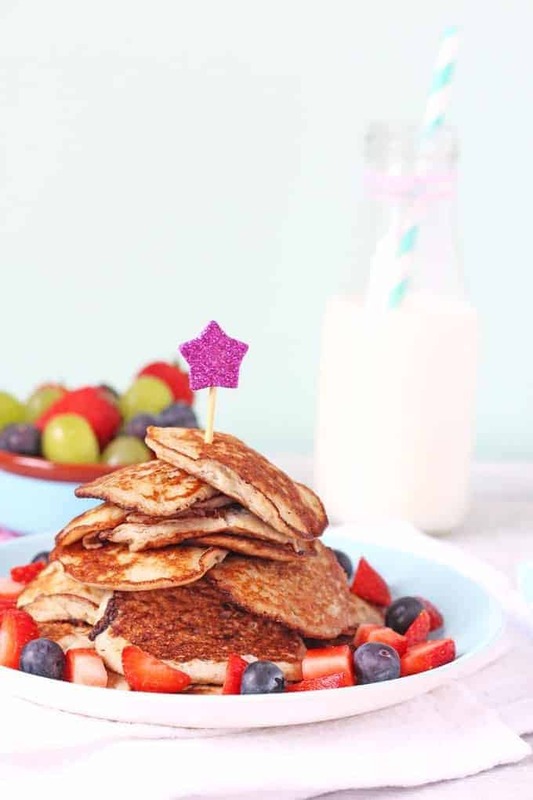 Made with baby-proof ingredients, this pancake recipe is everything your banana-loving munchkin could ask for. Plus, it's super easy to make, so less work for momma. In a bowl, mash the banana and stir in the eggs and milk. Add the flour and mix until all the ingredients are evenly combined. Melt the butter in a pan over medium heat and pour 2 tablespoons of the batter. Cook for a couple of minutes on both sides until they turn brown. 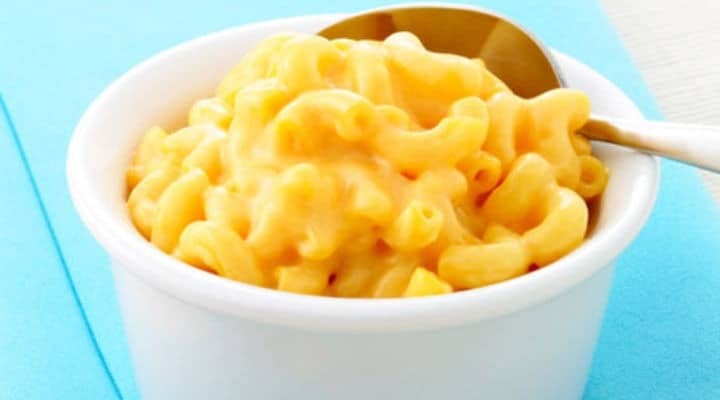 Nothing says “yum” quite like a bowl of mac-n-cheese. 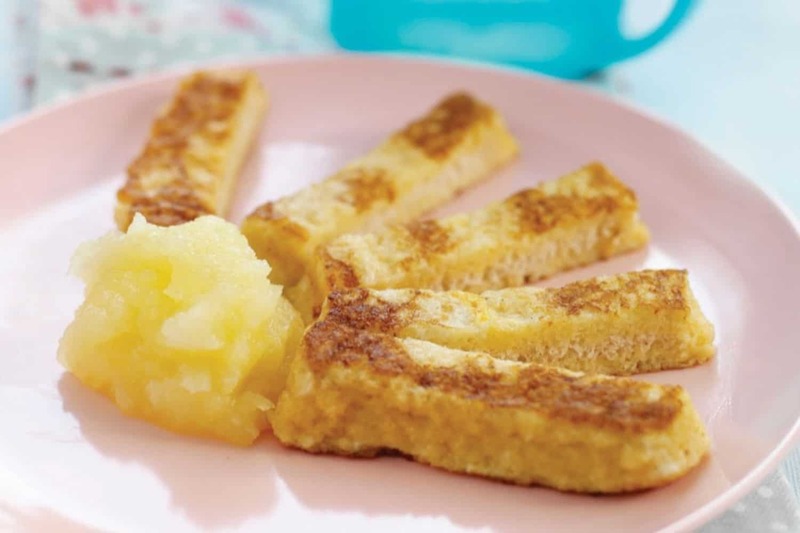 This baby-led weaning recipe helps you introduce your baby to this comfort food classic in the healthiest way possible. Meanwhile, cook the macaroni according to the package's directions. Add the egg, cheese, milk, and butter to a baby food processor and pulse until they are evenly combined. Add the macaroni and blend for another 30 seconds until the pasta is finely chopped. Spoon the mixture to a baking dish, sprinkle with black pepper and bake for about 20 minutes or until it turns golden. A teething baby can be hard on any momma. 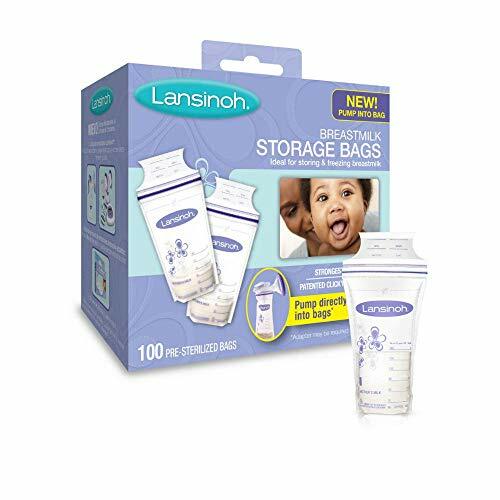 But, what if we told you that there's an easy way to keep your little one from whining all while nourishing her body? 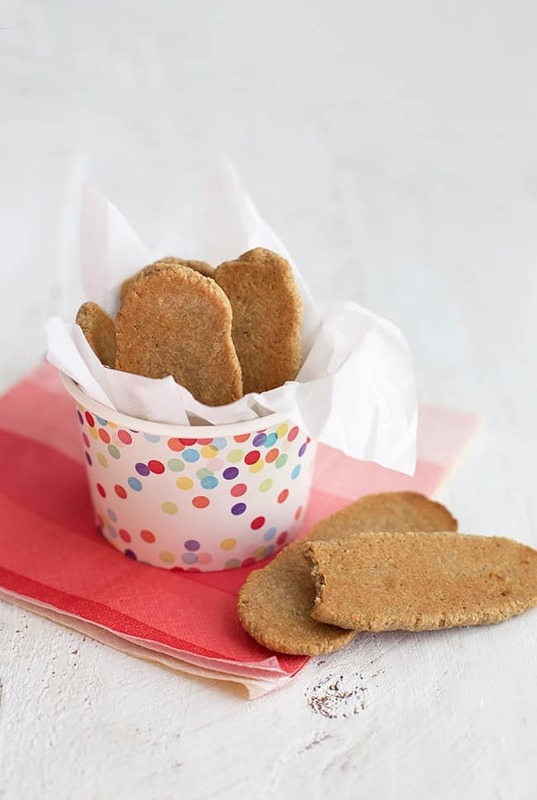 These nutritious teething biscuits can do just the trick while promoting your baby's self-feeding habits. Add the oats to a baby food processor and blend until it turns into a fine powder. Add the remaining ingredients and and pulse until you form a dough. Divide the dough into small balls and place on a greased baking sheet. Bake for about 10 minutes or until they turn brown. Make sure they are not crunchy. 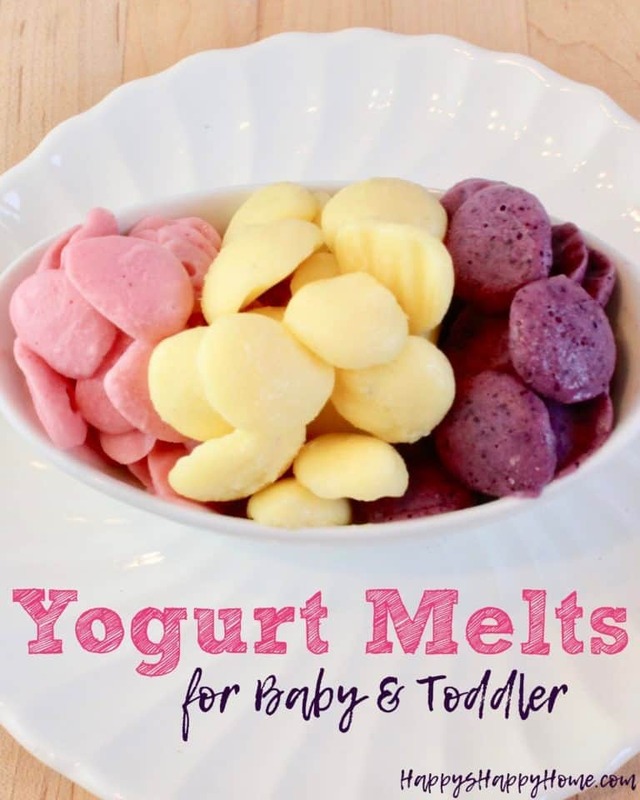 Packed with probiotics, yogurt is one of the easiest ways to keep your little one's gut in tip-top condition. However, make sure you steer clear of sugar-laden products which may do more harm than good. Add all the ingredients in a baby food processor and blend until they are evenly combined. Spoon small dots of the mixture onto the paper and freeze for 2 hours or overnight. 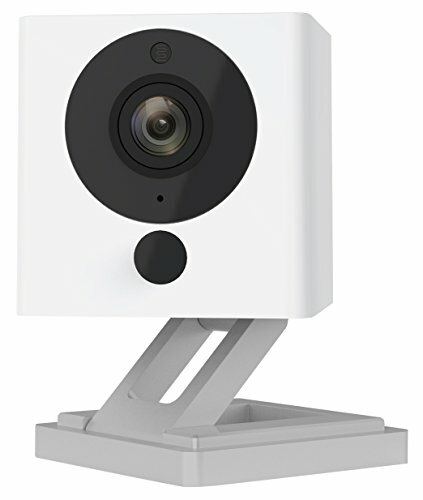 Wow, your baby is growing so fast! She's now 10 months old. Sure, that's a good thing, but her personality is beginning to show. 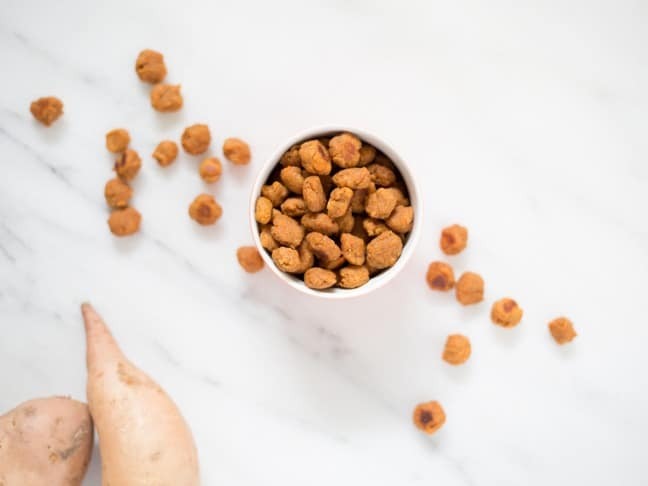 Since raising a picky eater is not an option, it's high time you pulled out the big guns and made sure everything you throw her way is uber delicious. PS: You can now add more foods to her menu including tomatoes, fish, ground nuts, and yams. 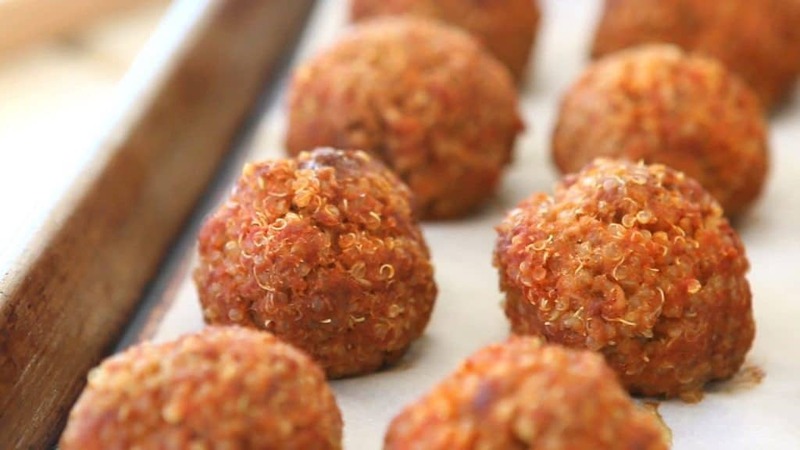 Between quinoa's mineral potential and beef's iron and protein abundance, these meatballs are a total nutritional powerhouse. Ready to show your baby what it means to eat healthily? Add all the ingredients in a bowl and knead with your hands. Once everything is combined, form small balls with the mixture and place them on a parchment-lined baking sheet. Drizzle with olive oil and bake for 30 minutes. Both tomatoes(4) and avocados(5) contain potent antioxidants which play a huge role in your munchkin's eyesight development. But, this recipe doesn't end there. It's also rich in muscle-building protein thanks to the egg. In a bowl, add the tomato, water, and egg and whisk well. Heat the olive oil in a pan over medium heat and add the egg mixture. Keep stirring so that the egg doesn't stick to the bottom. 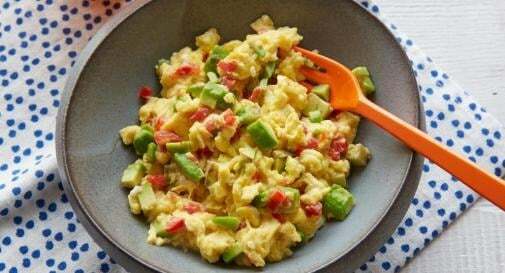 Moments before the scramble is set, add the avocado and cook for a while longer. Fun fact: The human brain(6) consists of 60% fat. That means that your growing baby is in desperate need of healthy fats to fuel this mighty organ on a day-to-day basis. Fish is an excellent source of Omega-3 fatty acids which basically do all the work. In a saucepan, add the milk and the fish and bring to a boil. Simmer until the fish is cooked through. 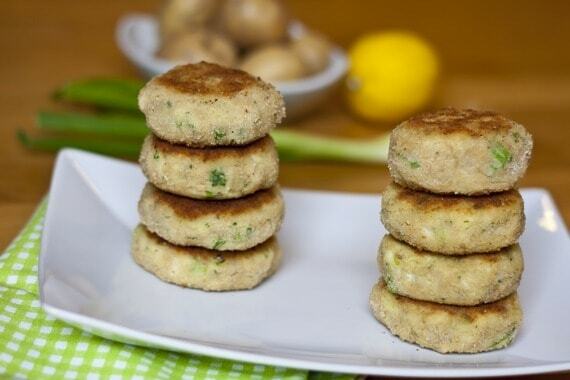 In a bowl, combine the potato, butter, black pepper, parsley and lemon zest and mash them. Stir in the fish little by little along with ¾ of the egg and the green onion. In a plate, add the remainder of the egg and the breadcrumbs. Flour your hands and form small patties. Then, coat them with the breadcrumb mixture and transfer to a heated pan. Fry on both sides until they turn golden brown. Coming up with nutritious baby-led weaning breakfast recipes can be tough. But, this delicious (and easy-to-make) hash gives your baby a break from boring oat porridges and bland purees. Heat the oil in a pan over low heat. Add the sweet potatoes and carrots and cook for a minute. Stir in the cinnamon and cover with a lid. Let them simmer for about 5 minutes. Remove the cover and simmer until the sweet veggies are cooked through (approximately 15 minutes). Then, add the apple and cook for 5 more minutes until all the ingredients are fork-tender. You may need to add more oil along the way. From tomatoes and blueberries, your baby has tasted it all by now. So, it's finally time to put these nutritious foods together and create easy, delicious meals. Your only concern at this point? 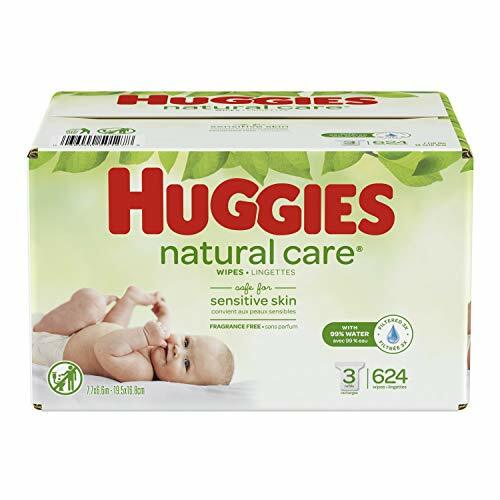 Start checking your baby's reactions to specific allergens such as nuts, eggs, bread, dairy, etc. Being one of nature's most potent antioxidants, cauliflower is the epitome of eating healthy. So, sneaking it into your baby's menu seems like a reasonable choice. Friendly tip: Skip the red pepper in the original recipe 'cause your baby's digestive system may not care for it. 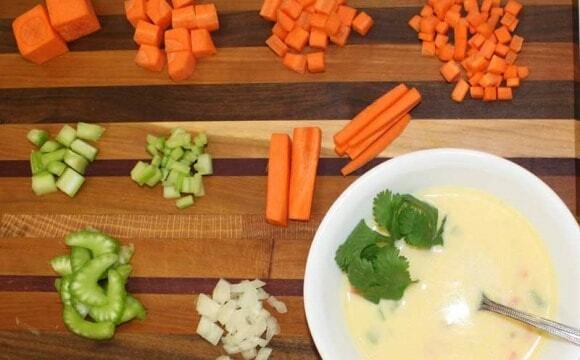 In a bowl, add all the ingredients and mix well until they are evenly combined. 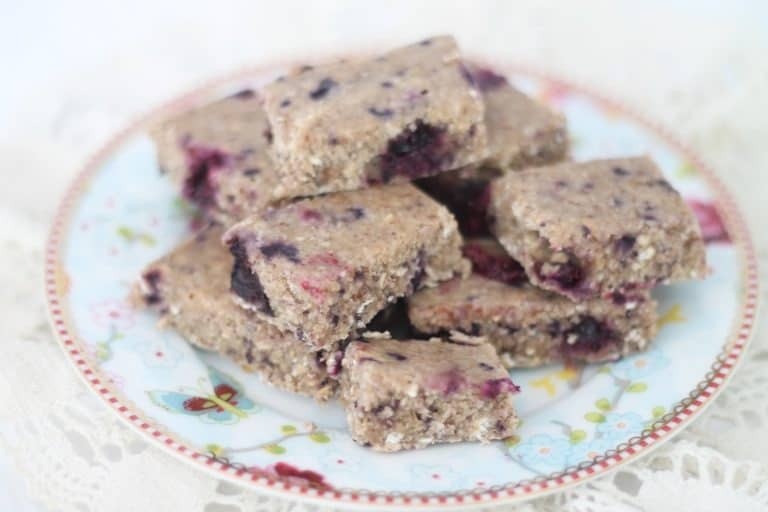 Scoop one tablespoon of the mixture and shape it into a rectangular stick. 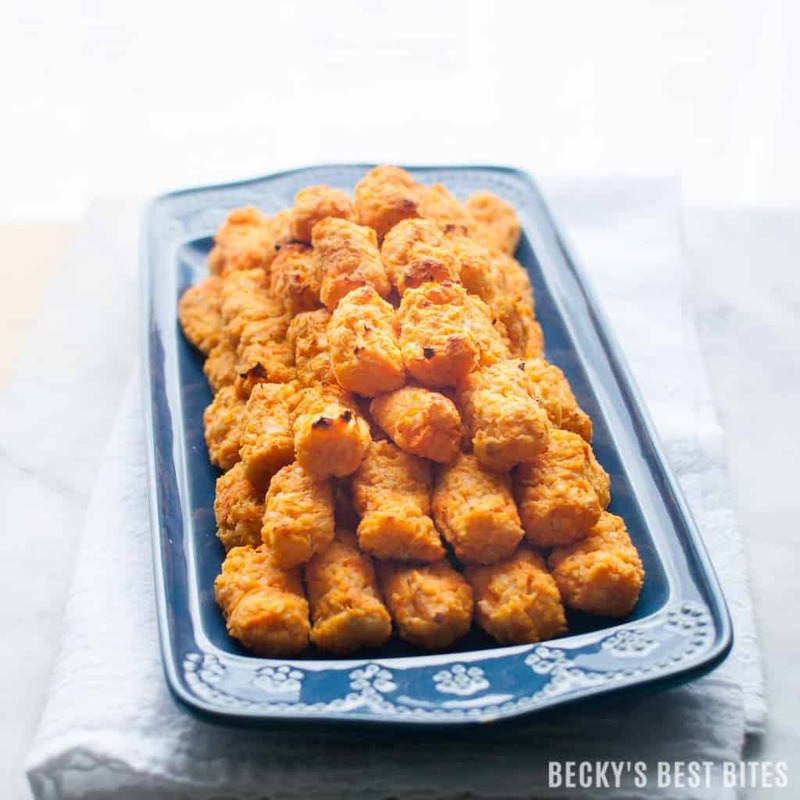 Place the veggie tots on a parchment-lined baking sheet and bake for about 20 minutes or until they turn golden. 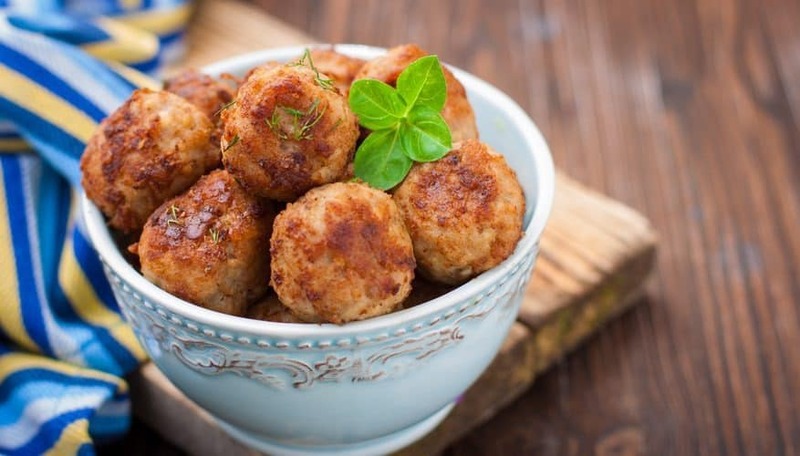 At just 4 ingredients, these marble-sized meatballs will be your go-to lunch option for those days when you need to sneak more nutrients into your baby's body but don't have the time to cook a fancy meal. Form small balls with your hands and place them on a greased baking tray. Bake at 350oF for about 15 minutes or until the meatballs are cooked through. Thanks to their low-carb content, zucchinis are a light option for any baby meal; not to mention that they are packed with vitamin C, one of nature's most potent antioxidants(7). Add the zucchini, cheese, onion, and bacon in a bowl. In a separate bowl, add the oil, flour, and eggs and mix well. Pour the egg mixture into the zucchini mixture and blend them well until they are evenly combined. Transfer the dough to a baking tray, even it out and bake for about 30 minutes or until it turns golden. Remove from the oven, allow to cool and cut into rectangular pieces. 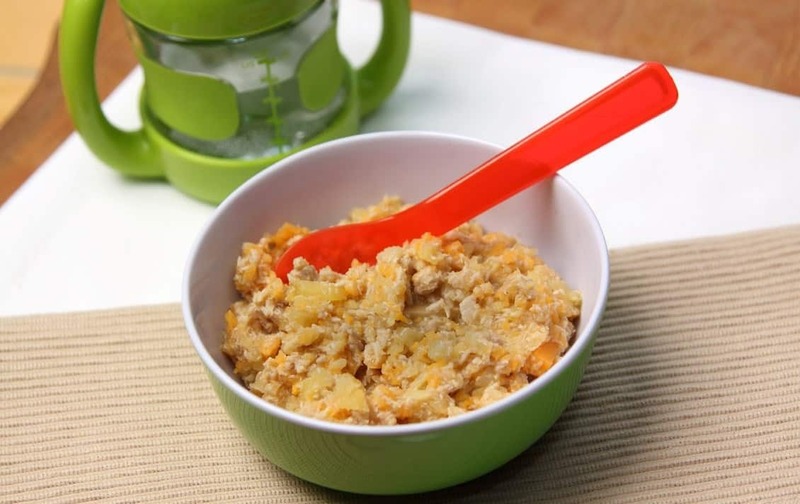 Nothing says cozy and must-eat quite like a bowl of warm rice, and this easy-to-follow recipe makes sure your baby gets in on the action. In a deep saucepan, saute the onion and celery until soft. Stir in the butter, rice, and garlic. Meanwhile, dissolve the stock cube in 1 ½ liter hot water and add to the pan. Simmer over low-medium heat for about 30 minutes, stirring occasionally. Add the peas, prawns, cream, lemon juice and zest and simmer for a while longer until the risotto turns al dente. 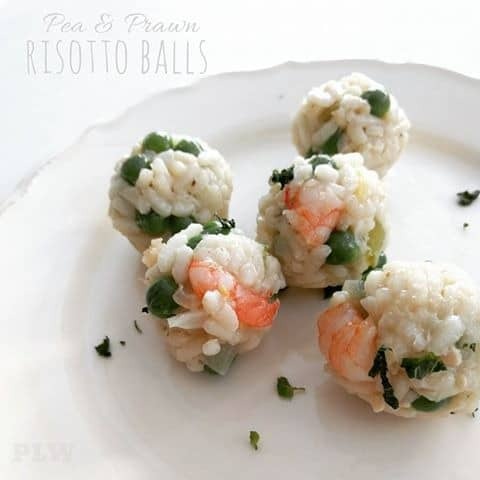 Set the pan aside, let the risotto cool down, form balls with your hands and serve as is. At this point, your little munchkin can eat just about anything. Except for juices, cow's milk, oranges and salt - they're still out of limits. That means that you have a wide array of options to work with and are capable of producing drool-worthy meals 100% of the time. Ready to head into the kitchen? Swapping raisins, applesauce, and sultanas for sugar, this carrot cake recipe is the equivalent of a warm hug, but with a healthy twist. If you are ready to introduce your little one to the magic of cakes, this is definitely the way to get started. In a bowl, add the flour, baking soda, and baking powder and combine. In a saucepan, pour the water and add the raisins, sultanas, nutmeg, and cinnamon. Bring the mixture to a boil over medium heat and simmer for about 5 minutes. 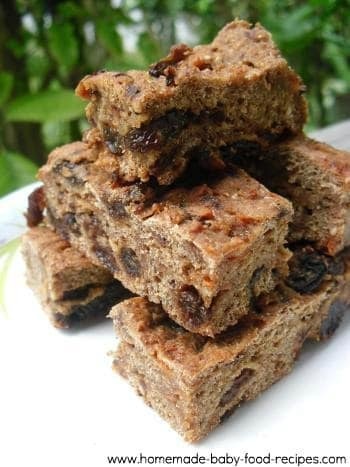 In a separate bowl, add the carrots and the raisin mixture and stir well. Then, add the applesauce and the dry ingredients and mix thoroughly. Pour the mixture into a greased baking dish and bake for 1 hour or until the cake is cooked through. A rich source of vitamins, fiber, and minerals, chickpeas (also known as garbanzo beans) are part of every healthy baby's menu. How come? This yummy legume helps regulate glucose and insulin response(8) which are crucial aspects of the development of a 12-month-old baby. Add all the ingredients except for the breadcrumbs and flour and pulse until they are evenly combined. Then, add the flour and the breadcrumbs and pulse once again. Form small patties with your hands and place them on a tray. 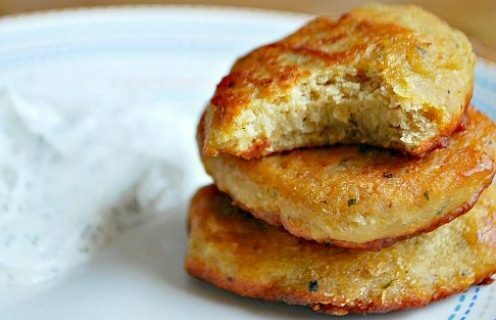 Heat 1-2 tablespoons of oil in a pan over medium heat and fry the patties on both sides until they turn golden. 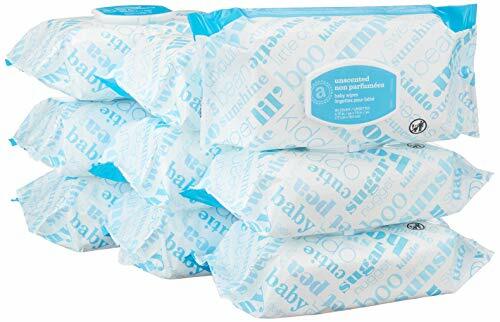 Place them on top of a paper towel to remove any excess oil and serve. Babies love bolognese - that's nothing new. 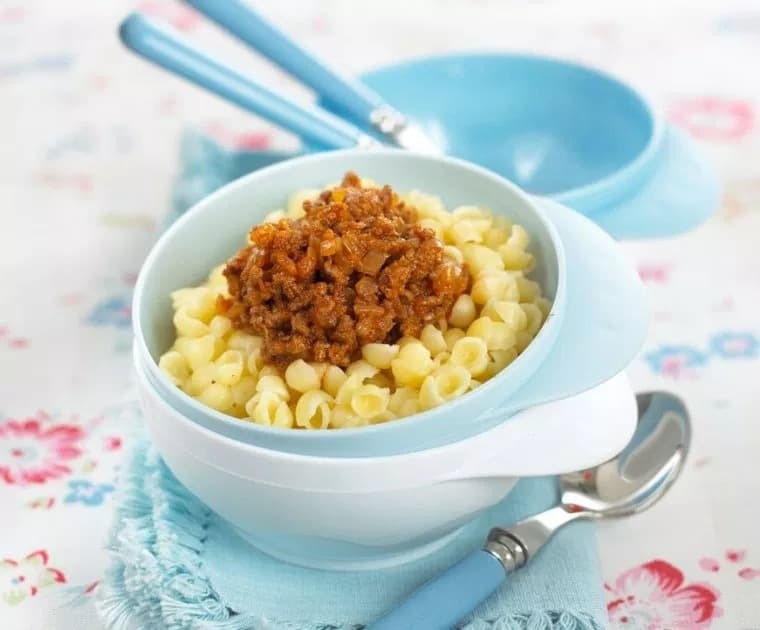 However, if you want to offer your little one with a healthier version of the pasta favorite, this recipe is just the way to go. Saute the onion, garlic, celery, and carrot. Add the beef and saute until brown. Stir occasionally. Add the beef stock, thyme, tomatoes and tomato puree and bring to a boil. Simmer for 15 minutes. Remove from heat. Meanwhile, cook the pasta according to the package's instructions. Combine the beef mixture into the pasta and serve. Feeding your little one all the right foods is not always easy when they grow up. 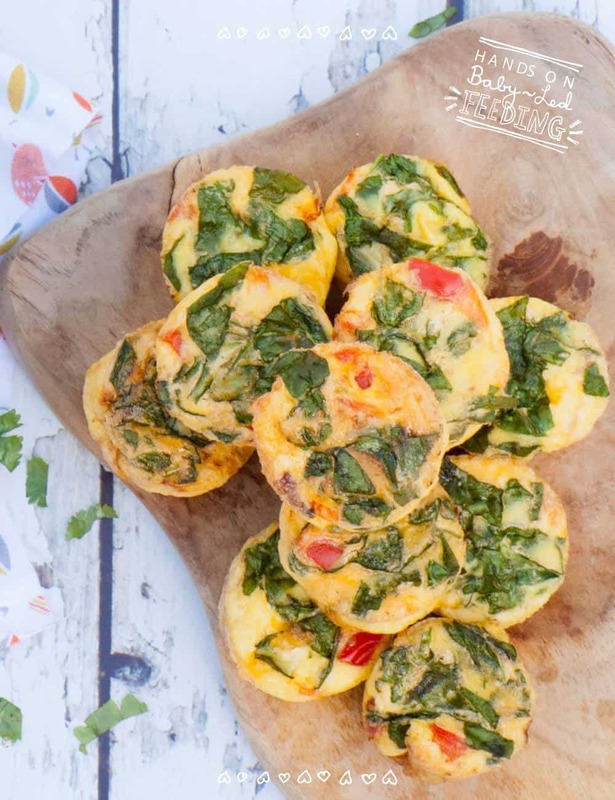 This recipe eliminates this issue by hiding heaps of iron-rich spinach into a cheesy frittata. Making your kid eat her veggies was never easier! Meanwhile, heat the oil in a pan and saute onion, garlic, and pepper until they turn soft. Stir in the spinach and basil leaves and heat until they wilt. In a bowl, add the eggs and black pepper and whisk. Pour the egg mixture on top of the veggies and sprinkle with the cheese. Spoon the mixture into a muffin tin and bake for 12 minutes. Sure, baby-led weaning is not always as easy as it seems. But, you'd be surprised at just how smooth things can get if you have a bunch of delicious recipes within reach on a daily basis. So, what do you think? 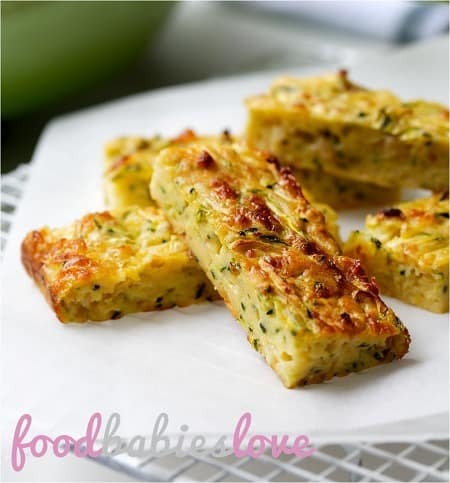 Will you add any of these recipes to your baby's weaning menu? This is just what I was looking for! My little guy is getting bored with the same foods all the time. I’m excited to try some of these tomorrow. Thank you! You are welcome Brooke – glad it helps. Thank You so much to share these tips. Just what I was looking for. Easy, for baking, and nutritious. You are welcome – glad you like the recipes.